Pinterest is a fun social networking site that allows you to collect and share images of interesting things you find on the Internet. Part of Pinterest's appeal is that it's beautiful. 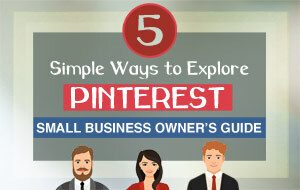 The Pinterest user interface is also extremely easy to learn. An image, referred to as a "PIN," can be added from a website using the "Save" button, or you can upload images from your computer. On Pinterest, you can organize your images into categorized collections or pinboards. You can follow other users and share their content (by repinning). Similar to Twitter, you can follow anyone, even if they aren't following you back. You have the option to follow all of another user's boards, or you can just select certain boards to follow (the best method). Pinterest allows for selective following. Your profile's images aren't all grouped together. They're part of separate boards, so people can follow as many boards as they like. This makes it easier to appeal to more people. Users can view any image pinned anywhere on the network. It involves the sharing of things rather than personal updates, making it easy to connect with strangers, like-minded people and similar businesses. You don't have to leave comments. You can just follow boards and repin images. It's a fun experience to spend time there, not a social media site where you feel pressured to stay involved. Pinboard Images are hyperlinked to their source. This helps to drive traffic from Pinterest to external sites. Pinterest's high referral traffic outranks both Twitter and YouTube. The "Share" button makes it easy to share content. With a simple click of the "Share" button, shoppers can share images of your products across the web, including with their social network on Pinterest, helping your products get wider visibility and your brand gain a larger following. The half-life of a pin is 3.5 months. (It takes a pin 3.5 months to get 50% of its engagement.) The half life of a tweet is only 24 minutes and the half life of a Facebook post is only 90 minutes. 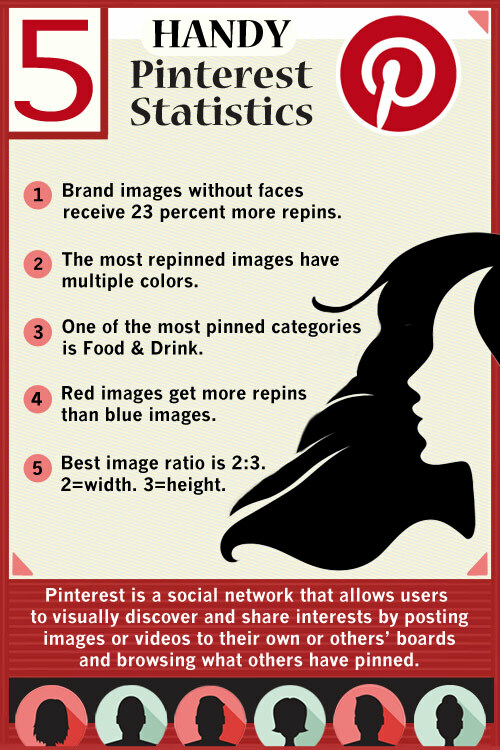 This means that the half-life of a Pinterest pin is 1,680 times longer than a Facebook post. Pinterest has a great feature called "INSTANT IDEAS." When you see a PIN that you like on Pinterest, click on the lower right-hand corner "MORE" button with the large white circle or tap the Pin. Pinterest will reveal related items. The new ideas appear inline, so you're instantly reshaping your feed to reveal more of what you like. You also won't lose your place in the stream. Pinterest attracts a very specific audience. Before joining Pinterest, brands need to assess whether they have a collection of high-quality, unique images to share. You can't create a post on Pinterest without an image. Google Plus has launched Pinterest-style boards called Collections. This may help Google+ compete with Pinterest. Timing is no longer the main ranking component when it comes to Pinterest searches. Their new Smart Feed prioritizes what they consider to be quality images over how recently they were pinned. Your pin will not necessarily be displayed when you pin it. Pins are "weighted" by two measures: how influential the pin is (how many pins link to that same content), and how engaged the pinner is (how frequently they are pinning and the quality of their pins' content). If you want to succeed with popular pins from your website, you must create the best visuals you can and make it easy for people to pin from your site.